Nothing to say about this guy yet, his armed and armoured version will give way to his 'fluff' :) For now it's just a naked Ogre holding a small bit of tube allowing you to add your own weapons more easily! ~45mm tall as posed and almost certainly not going to reach metal. 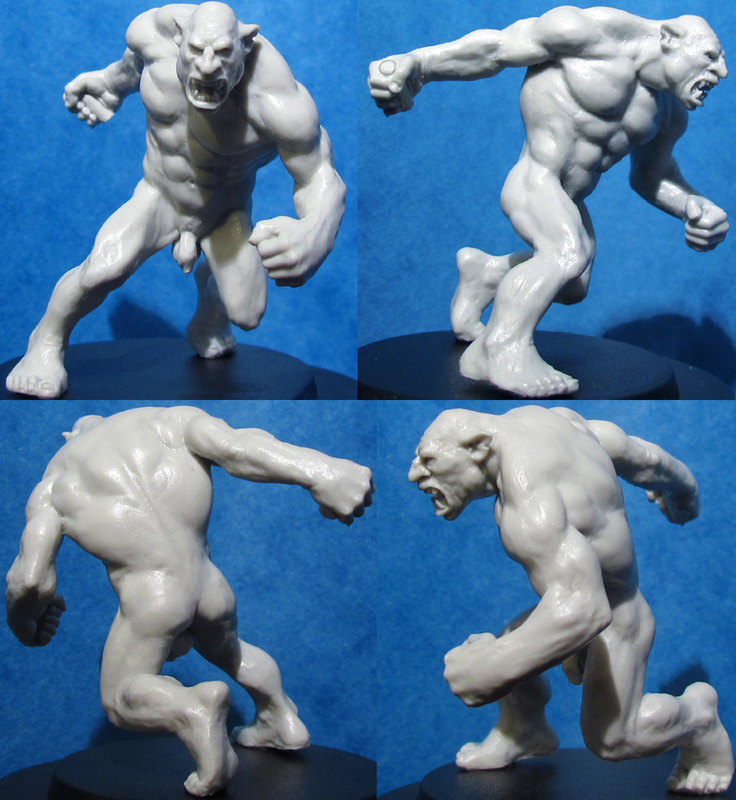 This is a Limited Edition Resin 'Master Casting' of Ogre Skyclad. These Master Castings are strictly limited to however many we can get out of any Master Moulds before they deteriorate. These are about as limited as anything we've made and are the closest thing to Kev's original green as possible so hold the highest level of detail available.